Hutcherson Goldsmithing specializes in custom jewelry and creating an experience to remember for years to come. We will design and construct an original piece of jewelry for you, while working with you step-by-step to ensure your extraordinary treasure is one that is admired for a lifetime. Our personalized approach to the design process can be done with combined efforts to ensure you receive an authentic, pristine wedding ring. Each piece that Dustin custom makes is filled with the love and stories of the collaborators. Consultation: We love to do in-person consultations in our shop, but can also do consultations over the phone or email for long-distance clients. We will collaborate with you to come up with a unique design. Design/Rendering: This stage includes producing a 3-D CAD drawing or wax model for your approval. At this time any changes to the design can be made. Please be aware that changes to the design may change the price estimate. Finalization: In the final stages we will hand finish your piece exclusively at our Portland shop. We use traditional techniques alongside state-of-the-art technologies and tools in order to create the highest of quality custom jewelry. 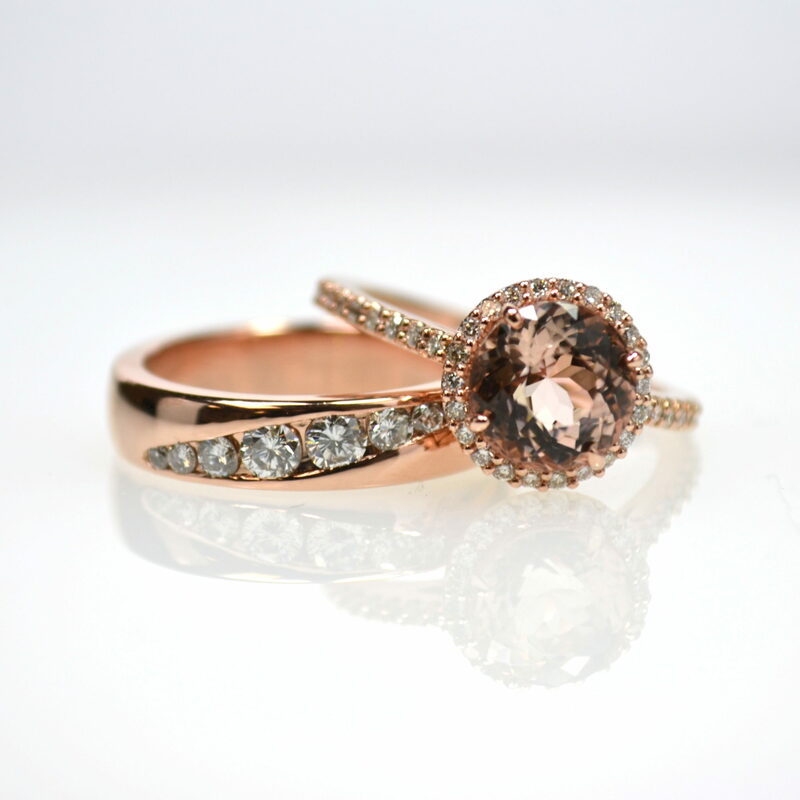 We can also include an appraisal performed by a 3rd party GIA certified gemologist upon request. We use ethically sourced gemstones and recycled gold. Or, we can use the materials from your existing jewelry, creating a truly recycled, unique piece. The final price of the piece depends on design, labor costs and cost of materials which includes market price of gold. We do require a 50% deposit of the initial price estimate after our consultation before we start creating your custom piece. Please allow 6-8 weeks after a design is finalized. Creating a truly custom experience and design is a collaboration, a step-by-step creative partnership between you and Dustin. Because it’s a team effort, with you giving feedback and approval at each step, the process ensures the highest level of customer satisfaction. Your new custom designed jewelry begins with an idea, a concept, a picture or drawing of something you like, or something you thought up yourself. Then, we move in stages, step-by-step, carefully shaping and refining your original idea into a stunning, original fine jewelry creation.